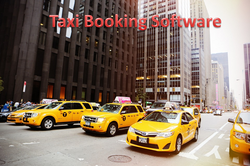 Offering you a complete choice of products which include travel portal software, travel api solution provider, flight booking software with api, hotel booking software, bus booking software with api and cab booking software and api. We are a leading brand in the IT sector for providing Travel Portal solution for All Segments like B2B, B2C, B2B2Cwe are reaching newer heights by delivering the best kinds of Travel Portal Software. It uses sophisticated methods for its work and once a client works worth Smart IT Ware, they are bound to feel the difference. An experienced team of software developers is always present to help out clients with any kind of need and provide them with software according to their requirements.It helps companies to grow significantly whilst saving time and money by means of innovative software solutions. It will take its clients way ahead of their competitors in the business. 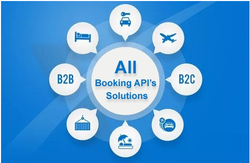 Backed with years of experience and knowledge in this business domain, we have carved a niche for ourselves, in providing a wide array of Travel Portal APIs for Flight, Bus, Hotel APIs. Our Flight Booking Software with API allows the Travel agents to interact with our web application. What this means, in reality, is that the travel agents can use our web application to fulfill the travel related needs of their customers.By integrating this travel API with your own software solution, you as a travel service provider can offer unbeatable travel related services to your potential clients. Cyrus developed the Hotel Booking Software by integrating Hotel API. 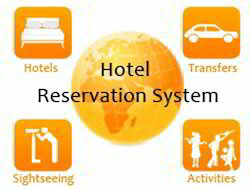 This system not only helps you in booking any Hotel on the destination with various Choices, with Lowest possible fares. We also provide you support in terms of procuring the right API keeping in mind your business model requirements. We offer technical integration between applications. We have professional expertise in creating and implementing API for multiple platforms. We excel in providing you support in terms of procuring the right API keeping in mind your business model requirements. Bus Booking Software Solutions - Cyrus eTraveledge is a unique solution for Bus Operators to offer bus booking facility on own bus booking engine. Its help the bus operators to book and deal with seats effectively. This is an online bus booking software which provides full control of the administrator to connect the unlimited distributor/reseller with own bus booking portal and also allow online users to book the bus tickets for any root all the time with just internet service. We, at Cyrus influence the travel technology market with innovative business solutions and strive to be a one-stop shop for all your travel technology needs. We develop travel portals that can generate monetary returns for you at every single click. Cyrus Recharge Solutions is the best service provider of cab booking software with API integration at a reasonable price with the latest features and upgrades technology.If you are developing your travel business or entering for the first time in e-business, we are here to help you find all the travel portal related solutions. Our team of experienced professionals provides the best solution. We provide customized travel portal development to your changing requirements.Our tours and travels portal development includes integration of various APIs for air booking, hotel booking, travel packages, bus booking, holiday booking packages, Car Booking Etc. We, at Cyrus influence the travel technology market with innovative business solutions and strive to be a one-stop shop for all your travel technology needs. We develop travel portals that can generate monetary returns for you at every single click. Cyrus Technoedge specializes in making flight booking engine portal with best affordable prices. It is defined as the application which helps with travel and tourism industry to help get the airline reservation done easily. This booking engine assists customers to online book flights Domestic Internationally and other services online. So if you assume the stage is all set for your company to rock, why to wait? In case you do not have a portal get unique discounts from Cyrus Technoedge Company get it developed of your selection. Cyrus Technoedge specializes in making flight ticket booking software portal with the best affordable prices. It is defined as the application which helps with travel and tourism industry to help get the airline reservation done easily. 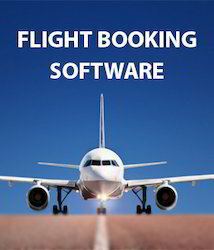 This booking engine assists customers in online book flights Domestic Internationally and other services online. So if you assume the stage is all set for your company to rock, why to wait? In case you do not have a portal get unique discounts from Cyrus Technoedge Company to get it developed of your selection. Best Tour Package Website Designing Company, Travel Website Development, Travel Website Builder, Cyrus Technoedge has been providing travel portal software solutions with unique design to the travel industry since its beginning. We give travel website development that allows companies to convey a fully online based travel booking website that goes well beyond client prospects. Our Award-winning booking portal provides complete solutions to manage an online travel agency, Hotels, holiday package sites and much more. With a large number of people online booking and shopping on the internet, it is very important to have your own travel booking website development software with a broad range of travel products. With Cyrus Technoedge, you can have fast and simple online achievement. Cyrus Technoedge is a reputed travel portal website development company that offers you a complete travel software solution. Whether it is about developing a travel portal software or an online booking software, we make sure that the latest techniques are put to work with the latest upgrades. Our time-tested portal development methodologies help us deliver clients with a product that is both reasonable and inexpensive. We Offer All-Inclusive B2B, B2C, B2B2C Travel Portal Development Solutions! Our travel portal solutions provide to all booking and software management requirements so that you can carry out your business with easiness. Best Travel Website Designing Company, Travel Website Development, Travel Website Builder, Cyrus Technoedge has been providing travel portal software solutions with unique design to the travel industry since its beginning. We give travel website development that allows companies to convey a fully online based travel booking website that goes well beyond client prospects. Our Award-winning booking portal provides complete solutions to manage an online travel agency, Hotels, holiday package sites and much more. With a large number of people online booking and shopping on the internet, it is very important to have your own travel booking website development software with a broad range of travel products. With Cyrus Technoedge, you can have fast and simple online achievement. Cyrus Technoedge specializes in making Flight Ticket Booking API with best affordable prices. It is defined as the application which helps with travel and tourism industry to help get the airline reservation done easily. This booking engine assists customers to online book flights Domestic Internationally and other services online. So if you assume the stage is all set for your company to rock, why to wait? In case you do not have a portal get unique discounts from Cyrus Technoedge Company get it developed of your selection. 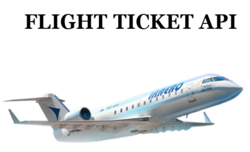 Cyrus Technoedge specializes in making International Flight Booking Software with best affordable prices. It is defined as the application which helps with travel and tourism industry to help get the airline reservation done easily. This booking engine assists customers to online book flights Domestic Internationally and other services online. So if you assume the stage is all set for your company to rock, why to wait? In case you do not have a portal get unique discounts from Cyrus Technoedge Company get it developed of your selection. Cyrus Technoedge specializes in making flight tickets booking sites development with best affordable prices. It is defined as the application which helps with travel and tourism industry to help get the airline reservation done easily. 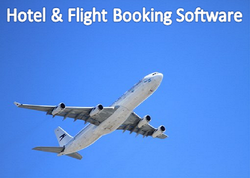 This booking engine assists customers in online book flights Domestic Internationally and other services online. So if you assume the stage is all set for your company to rock, why to wait? In case you do not have a portal get unique discounts from Cyrus Technoedge Company to get it developed of your selection. The hotel booking engine developed by the Cyrus Technoedge team promises several advantages to the travel operators, the most significant one being conversions. We will provide you complete Solution for Hotel Booking - Domestic and International that contains all basic components starting the hotel list for bookings to online hotel bookings to cancellations or rearrangement. The tourists can simply evaluate prices and then make hotel bookings for the one that fits with the requirements and this is going to rise up the constancy meter of your travel portal. Cyrus Technoedge is a leading Online Hotel Booking Reservation System Development Company, offers integrated hotel reservation software with an advanced solution to our clients. Our online hotel booking software allows travel agencies, travel companies, hospitality partners to handle online hotel bookings speedily and successfully. Over the last few years, the travel portal domain has witnessed strong development and our online hotel booking software let you attach with worldwide clients by providing them the exceptional search and book functionality. Cyrus Technoedge will offer the complete Online Bus Booking Software, which will have diverse functionalities like route creation, route allocation to different vendors and different buses, seat booking etc. One of the main modules here will be Seller Management System, using which the administrator can make several vendors who can create, add, update, delete their preferred Buses on different existing routes. The routes can be arranged both by the Bus Portal admin as well as the seller, depending upon the selection of the portal owner. Cyrus Technoedge is a reputed travel booking software company that offers you a complete travel software solution. Whether it is about developing a travel portal software or an online booking software, we make sure that the latest techniques are put to work with latest upgrades. Our time-tested portal development methodologies help us deliver clients with a product that is both reasonable and inexpensive. We Offer All-Inclusive B2B B2C Travel Portal Development Solutions! Our travel portal solutions provide to all booking and software management requirements so that you can carry out your business with easiness. Cyrus Technoedge Provides You With A Complete Holiday Booking Engine- We Have Several Holiday Package Options For You!!! If you are planning a holiday booking engine and thinking about which area to discover and what would the cost be, all that you require to do is get in feel with the Cyrus team. We have a travel holiday booking engine package that would meet every needs and preference, so whether planning a domestic or international tour getting in contact will help you opt in for something attractive. eTravelede provides Best Hotel & Flight Booking Software which can be customized as per your needs. We are committed to providing the best software along with better services. Looking for “Travel Portal Software”?